In celebration of his birthday, Bangladesh drops off his first mixtape in what will be a series, "Ponzi Scheme." The project features tracks produced by Bangladesh with features from 2 Chainz, Gucci Mane, Brandy, CyHi The Prynce, Future, Pusha T and more. 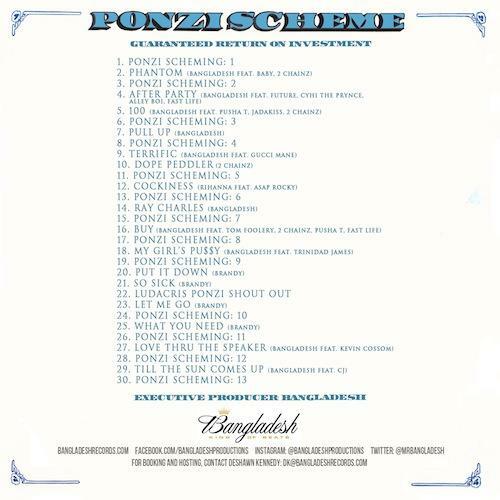 Bump Ponzi Scheme, the latest mixtape from Bangladesh, which dropped on Wednesday, March 13th, 2013. 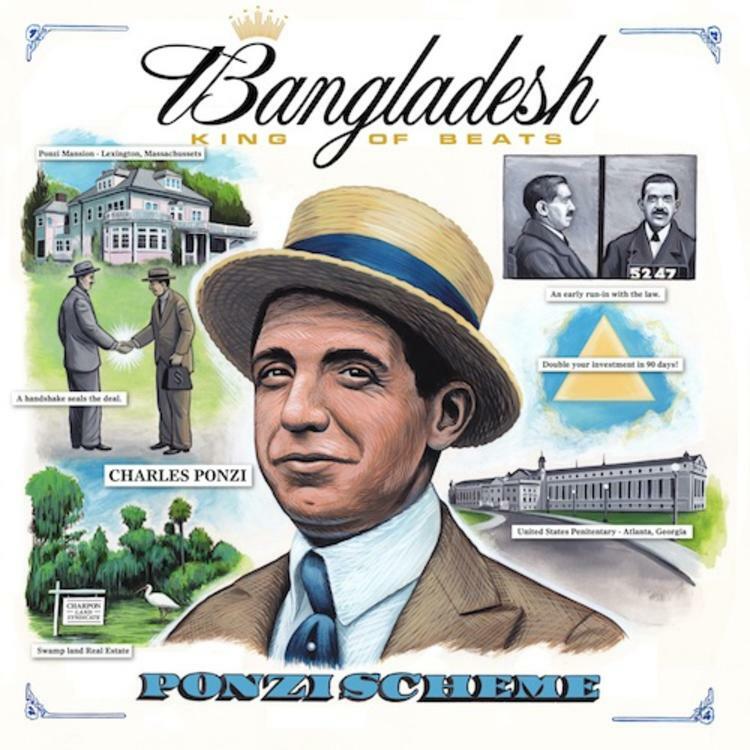 Bangladesh's horizons are broadening with each new release, and Ponzi Scheme is no exception. It's a worthy addition to a catalogue that has seen much growth since Bangladesh stepped foot in the rap game. We're looking forward to hearing more. The following artists are featured on the project: Baby, 2 Chainz, Future, Cyhi The Prynce, Alley Boy, Fast Life, Pusha T, Jadakiss, Gucci Mane, Rihanna, ASAP Rocky, Tom Foolery, Trinidad James, Brandy, Ludacris, Kevin Cossom, CJ. Hear more of Bangladesh on Ponzi Scheming 1.